Now that I’ve been overseeing a boatyard for ten months, I’ve run into the problematic issue of throwing boats away. Boats sink, catch fire, are abandoned, get too far behind on maintenance and repairs, and boats just get old. In these situations, the economically sensible thing to do is dispose of the boat. Unlike the old days, intentionally scuttling a boat offshore now comes with heavy fines and maybe some jail time. The cost of throwing away a boat varies widely. Some municipalities have programs for disposing of a boat for free (to the owner, not the taxpayer), but it generally costs $5,000-$10,000 to throw away a fiberglass 40-footer. It costs this much because all hazardous materials must be removed before disposal. This means every last drop of fuel must be cleaned from the tanks (or tanks removed), every drop of oil from the crankcase (or engine removed), every drop of sewage from the holding tank, batteries removed and disposed of elsewhere, hydraulic fluid drained from steering systems, oil drained from windlass and gear works with oil baths, refrigerant removed and contained, etc. If you can do all this yourself, then you’re just looking at transportation and disposal fees. Paying someone else to remove all the hazardous stuff and transport it gets expensive. You’d think there would be plenty of value in salvaging parts, but usually the only thing worth salvaging is a lead keel, as lead can fetch up to 75 cents a pound. This is sad to watch, because even if it was a piece of crap before demolition, it was somebody’s baby once. There are several promising technologies for recycling fiberglass, but none ready for the mainstream. 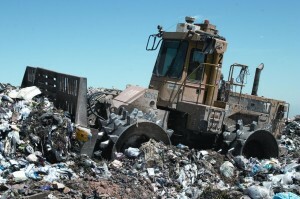 At $35 to $50 per ton, disposal in a landfill is almost always the cheapest option. All that composite material will then sit in a landfill forever, or at least, shall we say, hundreds of years. Wooden boats will eventually return to the earth. It seems to take about 100 years for a wooden boat to rot away to nothing in a temperate climate; much less time in the tropics. Steel boats will rust away in about the same amount of time. I don’t know the disintegration time for an aluminum boat, but for a composite (fiberglass) boat, it’s going to be taking up space and being ugly long after we are all forgotten. With this in mind, owning a fiberglass boat isn’t just this year’s maintenance or next year’s haul-out. It’s the eternal plan for several hundred gallons of polyester resin. And, not to mention any names, but there are certain manufacturers turning out thousands of fiberglass boats every year, and these boats will have a lifespan of 20-30 years, after which they’re not worth maintaining. It sort of like getting a puppy: If you’re the kind of person who is going to tire of it after the puppy stage, then you shouldn’t get a dog. 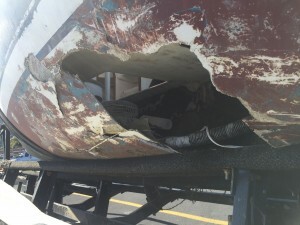 If you’re going to buy a boat that needs work, not do the work, and then hope to sell or dispose of said boat in worse condition than you bought it, then you, or the sucker you sell the boat to for $1, will be headed for the landfill.